Izaz (left) and Irum Haque. On Feb. 18, Irum Haque carefully packed, sealed, and measured a box containing a painting she needed to ship back to its artist in California. At 60 inches by 48 inches by 4 inches, it was a large box. 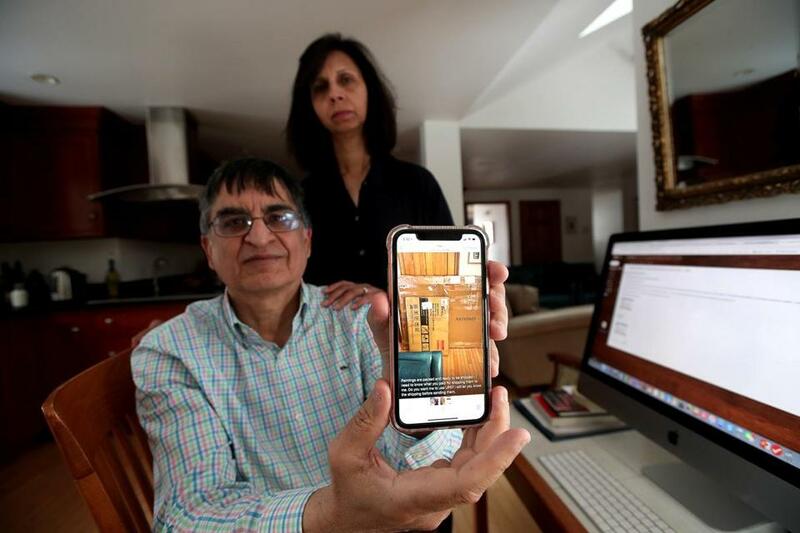 Haque followed the prompts on the UPS website to enter its dimensions, print a shipping label, and arrange for a UPS driver to pick it up at her Westford home. She did everything online without live assistance — including paying $246 on her husband’s credit card. About two weeks later, Haque received a terse e-mail from UPS. The multinational package-delivery company in the ubiquitous brown trucks informed her that the length of the box wasn’t 48 inches, as she had measured; it was 49. As a result, UPS told Haque it had recalculated its charges and determined she owed an additional amount. How much more for one extra inch? $850. And it was nonnegotiable. In fact, UPS had already delivered the package and rung up the additional charge. “How could they charge me four-times as much without so much as asking me about it?” she asked. The painting is the cherished work of a talented artist. But a shipping cost of $1,096 is not something Haque would have agreed to at the outset. The painting had been loaned to Haque for a special showing of paintings by Muslim-American artists. Haque, a longtime educator, is co-founder of “More than My Religion,” a local initiative that uses art to foster better understanding across religious divides by bringing diverse audiences to exhibitions. The painting, a whimsical depiction of a half dozen whirling dervishes, was among about 50 pieces shown last fall at an exhibition in Providence. Haque volunteers her time. She is not reimbursed for shipping or other expenses. “This charge was quite a lot of money to me,” she said when I visited her and her husband, Izaz. Haque recounted how the painting — 4 feet by 5 feet — was too large to fit into her car for transport to a UPS store (where it would have been measured by UPS personnel in front of her). So the couple followed the online instructions in preparing it for shipping. Haque said she and her husband were scrupulous about the measurements — the length of the box was actually a little less, not more, than 48 inches, they said. What the couple didn’t realize at the time — and which I only discovered by reading the fine print on the UPS site — was how close the box was to UPS’s maximum size. UPS will deliver packages over the maximum size, but it will also unilaterally subject those deliveries to an $850 penalty. The Haques measured the height of the box at 60 inches, with the length 48 inches and the width 4 inches. I followed the instructions on page 122 of the UPS “rate and service guide” for calculating a package’s total size (total size = height + girth; girth = 2 x width + 2 x length). It came out to 164 inches — within a rounding error of the maximum size of 165 inches. But at 60 inches by 49 inches by 4 inches, which is the measurement UPS says it made of the box, the total size comes out to 166 inches, one inch over, and thus subject to the very hefty penalty charge. Haque contacted UPS by phone as soon as she got notice of the company’s extra charge. But a UPS supervisor apparently wasn’t paying attention to what Haque was saying. Her followup e-mail to Haque asked her to take a picture of the box with a measuring tape next to it and to e-mail the photo to her. But of course the box was no longer in Haque’s possession; it had long since been picked up by UPS, as Haque had explained. In reply, Haque wrote that she felt UPS had taken advantage of her by tacking on an $850 charge without consent and that the company was unfairly blaming her for an incorrect measurement when to the best of her knowledge she had entered an accurate one. That was March 4. The supervisor, after her first errant e-mail, did not respond again, ignoring a request the next day from Haque for an update. I called UPS on Haque’s behalf, and ultimately the company relented. 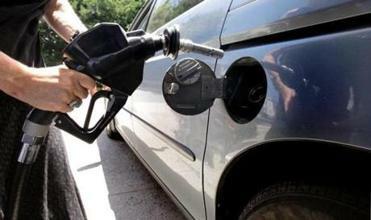 The $850 charge was credited back on Izaz Haque’s credit card. (He had wisely called his credit card company immediately to dispute the charge; the credit card company was in the process of investigating when it was resolved last week by UPS). A UPS public relations representative apologized on behalf of customer service for dropping the ball. The refund was made on that basis, she said. But what about an $850 charge unilaterally imposed on customers? I said that seemed patently unfair. The PR rep said an oversized package would not be accepted at a UPS store. But what about customers doing it at home? She didn’t really have an answer. So I suggested UPS program into its software a warning box that would pop up whenever anyone enters dimensions within six inches of the maximum size. It would remind customers to doublecheck and document their measurements. I also suggested UPS allow customers to opt out at any time if the company revises a package size into “over maximum” territory. Finally, I said the UPS driver who picked up the package should have measured it on the spot. The PR rep said she would pass along my suggestions. In the meantime, to anyone planning to ship a package, let this be a warning. An amplification: Last week, I wrote about American Education Services, which administers college student loans. The company denied Arnie Greenfield his right to be dropped as a co-signer on the loan, even though he had made timely payment for 48 straight months. It turns out American’s denial was based on an early, not late, payment back in 2015. American ultimately saw the light and dropped Greenfield as a co-signer. But in the column I wrote that the monthly installment was being paid “by father and son” — Arnie and his son, Max.